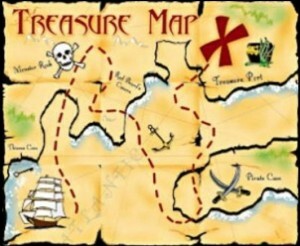 As a kid, I used to dream of finding a treasure map which would lead me to untold riches. I must have read “Treasure Island” a dozen times as a kid. You can just see the map; drawn out in scribbled lines, with mountains as what looked like an “M” or an upside down “V.” Old English as its font. Frayed at the edges, a picture of the Jolly Roger on it, and crossed muskets and smelling of gun powder and English Rum with names like Davey Jones or Long John Silver. 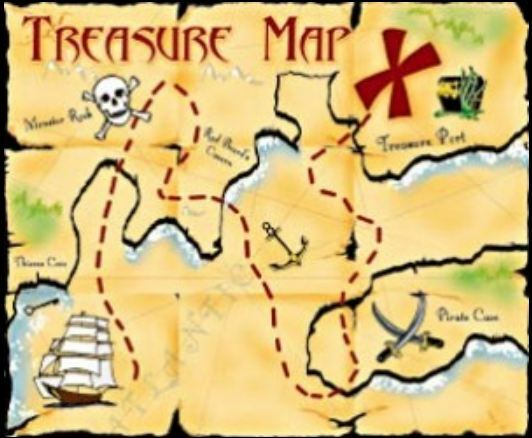 It would mark the spot where pirates had cut their way through jungles with machetes to the spot marked by a red “X.” There you’d find a massive oak chest filled with diamonds, rubies, jewels of all kinds, but most of all gold doubloons. It would be worth millions! Just imagine what it would be like to find something like that. In Matthew chapter 13, Jesus told a series of parables that are often called the “kingdom parables.” They all begin with the same phrase; the kingdom of heaven is like. The parable of the kingdom in verse 44 says, “The kingdom of heaven is like a treasure, hidden in a field that a person found and hid. Then because of joy he went and sold all that he had and bought that field.” One of the most famous Greek words in the English language is “eureka.” It’s usually followed by an exclamation point and it means, “I found it!” It was the cry of the 49ers back in the Gold Rush days of 1849. There would be a rush to stake a claim on that property and sometimes even fights would break out to see who could get there first with the legal claim on the mother lode. The thrill of that kind of discovery can only be imagined for most of us. I always think of the little dance that Walter Brennan did in the movie “Treasure of the Sierra Madres.” He was so excited and joyful he couldn’t contain himself. He had been looking for this all his life. And now, “Eureka!” He had found it!